Will you be in salt water, or fresh water? Where will you use your waterproof metal detector? Will it predominately be on the beach, in the shallow, or on deep dives? When deciding which detector is right for you, keep in mind your search area. 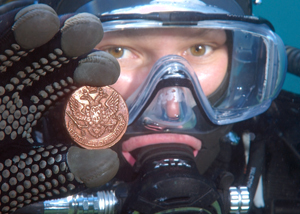 Underwater metal detectors are divided into two categories. The two categories are Pulse Induction Metal Detectors (PI) and Very Low Frequency Metal Detectors (VLF). These accessories will help you carry your items while covering the search area, hear your finds as your detector alerts you, and dig up your buried treasure. 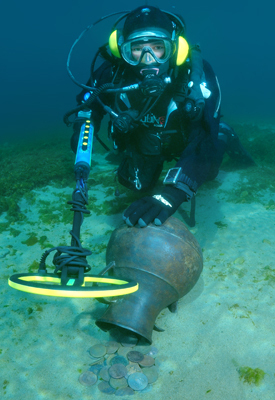 With your submersible metal detector and accessories, you will uncover lost treasures and forgotten relics. Enjoy hours of relaxing strolls down the shoreline, good exercise, and, who knows, maybe even gold. Click Here to Find the Underwater Detector that Best Fits Your Needs!